This well-maintained, 2,414-sf home offers one-floor living within the private golf and military-favored community of Indian River Colony Club. Located at 1851 Independence, it is built on the in-demand Montpelier model in a location that offers prime water views. 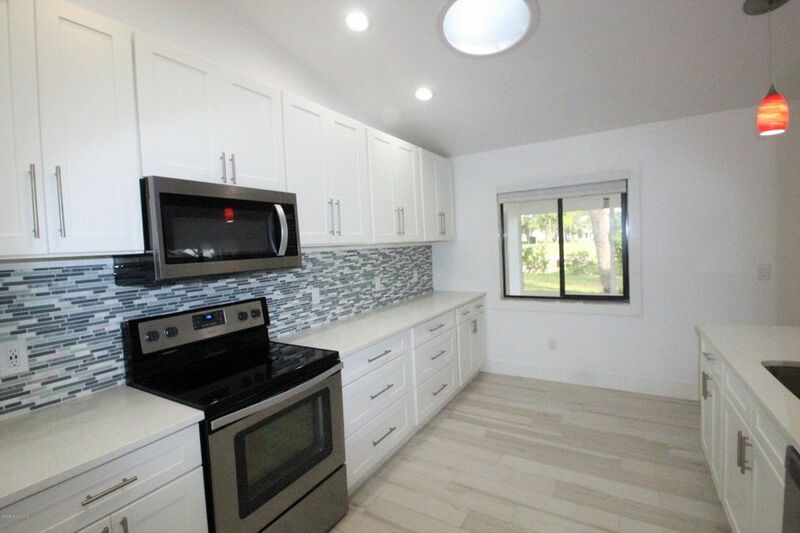 The island kitchen features granite counters and stainless appliances. Send me more about this home in Indian River Colony Club! Primarily a military retirement community, Indian River Colony Club (IRCC) is located on 453 acres with 773 individually owned 2-4 bedroom, single-family homes, the community is accented by abundant wildlife and beautiful golf course views. Send me more about this home in Indian River Colony Club! Join the camaraderie at Indian River. You won’t find a warmer and more welcoming place than IRCC, where new neighbors are welcomed like old friends. Indian River is small enough to foster friendship and a strong sense of community yet big enough to provide first-class amenities and lifestyle. All amenities, corporate buildings, and grounds are debt free with significant monetary reserves. There have been no monetary assessments in its 30+ year history. Send me more about this home in Indian River Colony Club! The community features a variety of single-family home living options with 18 floor plans from which to choose. Homesites offer lakefront, golf course and preserve views while homes are updated and in turnkey condition. Send me more about this home in Indian River Colony Club! Indian River Colony Club offers 2-4 BR individually owned homes set on 453 acres with golf course, 28 lakes, and preserve views where wildlife still abounds, creating golf and water views throughout the community. Send me more about this home in Indian River Colony Club! 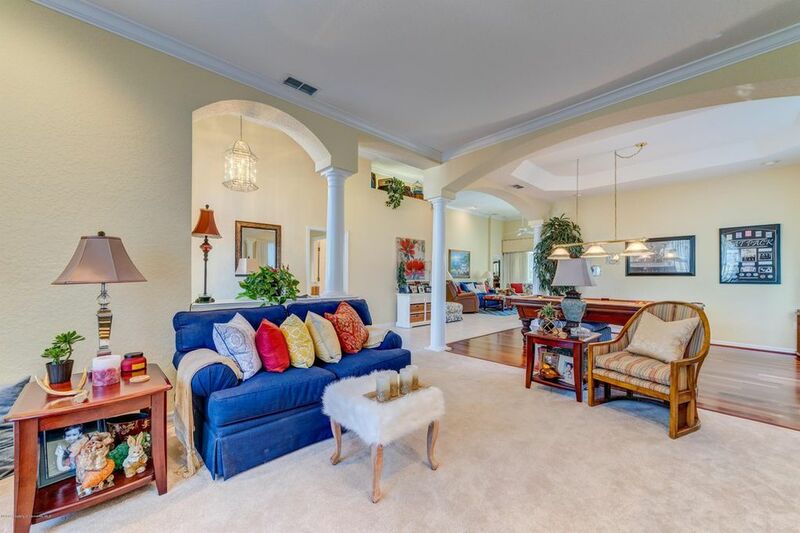 This maintenance-free home is set on the 12th fairway of the GlenLakes championship golf course. Luxury features includes a new Jacuzzi, gas fireplace and swimming pool. Designed and built with a discerning eye for detail and craftsmanship, it offers a generous 2,492 sf of living space. Send me more about this home in GlenLakes! The GlenLakes golf club community is a private, gated enclave that covers 1,400 acres on Florida’s pristine Nature Coast. Woven into its wide landscape of native terrain are lush fairways, spring-fed lakes and shady stands of oaks and pines. In the heart of the community lies an outstanding array of amenities, including a championship, 18-hole golf course designed by Ron Garl and a lavishly appointed clubhouse surrounded by tennis courts, pool, unique aqua driving range, lush landscaping and much more. 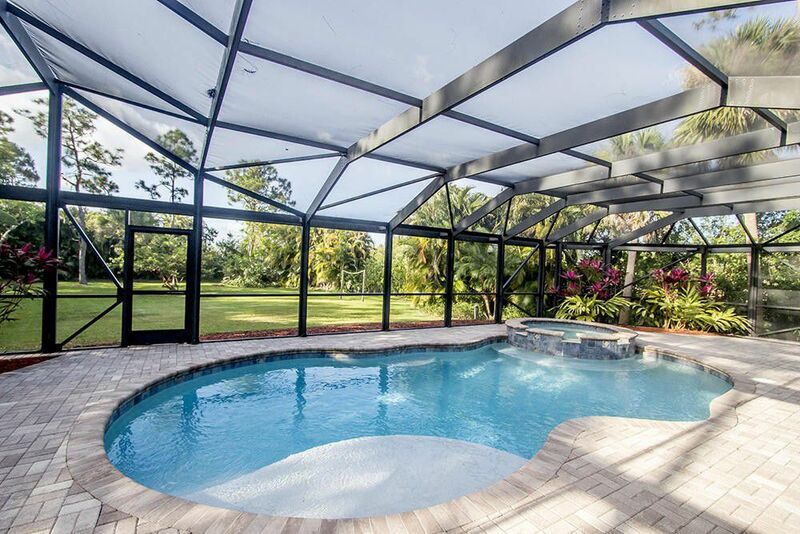 Send me more about this home in GlenLakes! The GlenLakes golf course was designed with substance to go along with its style. For the avid golfer, membership is available in the private golf club which features a Ron Garl layout. As a meticulously maintained course, meanders through well-landscaped neighborhoods and features mature pines and oaks that frame the fairways and tee boxes. Send me more about this home in GlenLakes! GlenLakes golf club community homes are ‘no maintenance’ and start in the low-$200,000s. These spacious yet economical homes can be built on homesites bordering state-owned nature preserves, lakes or the golf course. There is a full exterior maintenance package that ensures care-free living. Also available are single-family custom estate homes constructed by one of Florida’s finest builders, Addison Homes Ltd. Custom estate homes start at the $300,000s, including homesite. Send me more about this home in GlenLakes! Located on 453 acres with 773 individually owned 2-4 bedroom, single-family homes, the community is accented by abundant wildlife and beautiful golf course views. Send me more about this home in Indian River Colony Club! Indian River is small enough to foster friendship and a strong sense of community yet big enough to provide first-class amenities and lifestyle. A Florida Not-for-Profit Corporation, IRCC is owned by its members, administered by a professional general manager, and governed by the community-elected resident board of directors. Send me more about this home in Indian River Colony Club! Enjoy scenic lake and golf views at Quail Ridge Golf & CC from this single-level residence at 4463 Sanderling Circle East. Features include a spacious interior, large kitchen and a generous-sized porch with views. Send me more about this home in Quail Ridge! Quail Ridge Golf & Country Club is a private golf and country club community set on 600 acres in Palm Beach County, Florida. Throughout the the club’s landscape is gracefully accented by pines, palms, oaks, hibiscus, bougainvillea and many other varieties of trees and plants. Send me more about this home in Quail Ridge! Quail Ridge offers two championship 18-hole golf courses designed by Joe Lee and recently updated by Kip Schulties. In addition to two golf courses, the community has extensive practice facilities and tee times are readily available. Five sets of tees allow for all to play to their own level. The turf on the North course, South course, tees, and fairways are all grassed with paspallum, and the greens are grassed with mini verde. A fully stocked pro shop houses a large selection of golf wear and equipment. Golf instruction and clinics are available for all skill levels. Send me more about this home in Quail Ridge! This gated community with 24 hour security offers a variety condos, villas and custom homes ranging from $90,000 to over $2 million. Routine repairs, maintenance and housekeeping services are handled through the community’s on-site maintenance and housekeeping operations. Fully equipped rentals are available throughout the year. Send me more about this home in Quail Ridge! This courtyard villa at the private community of Piper’s Landing Yacht & CC is updated throughout. Located at 4548 SW Fenwick Lane, it features tile floors, cathedral ceiling and many custom options to personalize and expand. Send me more about this home in Piper’s Landing! 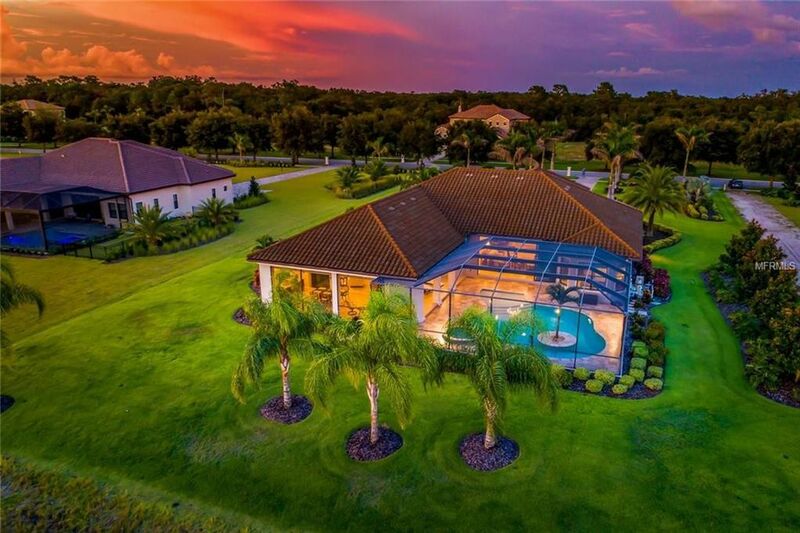 Piper’s Landing is a private, gated, golf community covering more than 600 lush Florida acres. 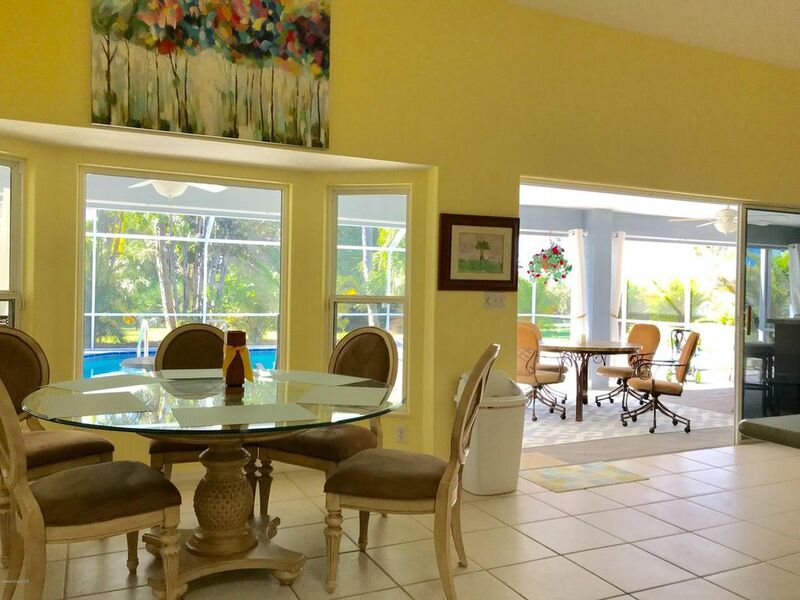 Its array of amenities includes private yacht basin and championship golf course. Additional amenities include a lavish, resort-quality tennis center and fitness program. The total number of residences at Piper’s Landing is limited to 270 homes and 32 condominiums–a perfectly sized community. Every lot is generously sized from a minimum half-acre to an acre-plus. Send me more about this home in Piper’s Landing! The community’s naturally protected private yacht basin offers access to the Atlantic Ocean and inland travel from Miami to Virginia (Intracoastal Waterway). The basin is recognized as one of the safest and most accessible on Florida’s east coast. The basin is your starting point for a cruise into the Indian River Lagoon and onward to a section of the Atlantic that’s known as the Sailfish Capital of the World. Send me more about this home in Piper’s Landing! Real estate offered includes waterfront homes, custom homes, golf homes, courtyard villas, cottages and lakeside condominiums. Prices begin in the $100,000s (courtyard villas, cottages and condos) and range up to $1 million+ for homes. Send me more about this home in Piper’s Landing! 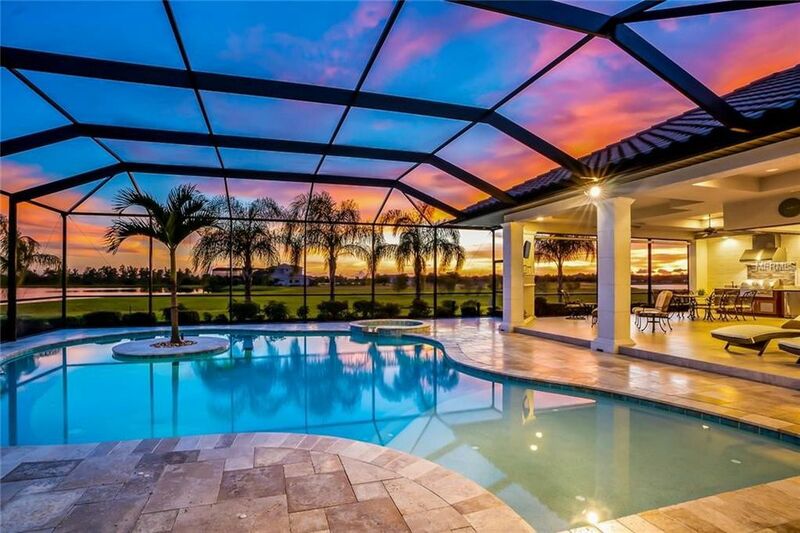 This handsome, Montpelier-plan home at 1840 Freedom Drive is set within the private community of Indian River Colony Club in Melbourne, FL (coastal central Florida). A sparkling private pool and a landscaped half-acre lot create a welcoming accent to this attractive 4-bedroom residence. Primarily a military retirement community, Indian River Colony Club (IRCC) is a 55+, active adult, country club community dedicated to serving those who served. Join the camaraderie at Indian River. You won’t find a warmer and more welcoming place than IRCC, where new neighbors are welcomed like old friends. Indian River is small enough to foster friendship and a strong sense of community yet big enough to provide first-class amenities and lifestyle. Send me more about this home in Indian River Colony Club! The community features a variety of single-family home living options with 18 floor plans from which to choose. Homesites offer lakefront, golf course and preserve views while homes are updated and in turnkey condition. Send me more about this home in Indian River Colony Club! Indian River Colony Club offers 2-4 BR individually owned homes set on 453 acres with golf course, 28 lakes, and preserve views where wildlife still abounds. Golf and water views greet you throughout this veteran-focused community. Send me more about this home in Indian River Colony Club! This 3,064-sf single-family home is set within the Minto community of TwinEagles at Lot 34 Dundee. Featuring a private study and screened lanai, it will be move-in ready by March 2019. Customize the look and feel of the home by taking advantage of the option to choose your own custom finishes and colors. Send me more about this home in Minto TwinEagles! Minto TwinEagles is a gated, resort golf community set on 1,115 acres in the Gulf Coast destination of Naples, Florida. Stretching across a tropical landscape of ancient oaks, graceful palms and iridescent lakes, this country club community is known for offering the region’s most inspired resort lifestyle. The golf course and amenities create a showcase for wonderfully designed single-family estate homes which are priced from the mid-$500,000s to over $1 million. Surrounding this serene enclave is world-class shopping, dining and pristine beaches, along with the art and culture of Naples. Send me more about this home in Minto TwinEagles! With two 18-hole courses with top pedigrees, TwinEagles is first choice among affluent golfers. It starts with The Talon, designed by Jack Nicklaus and his son. Acclaimed as the top residential golf course in Southwest Florida, it has long hosted the ACE Group Classic on the PGA senior circuit, the Champions Tour. Talon has also hosted the 1999 Father/Son Challenge and the 2012 CME Group Titleholders on the LPGA Tour. TwinEagles’ second course, the Eagle, was designed by Steve Smyers. On the fairways and greens of the Eagle golfers find challenges that demonstrate a reverence for golf’s enduring traditions, while featuring yardages well suited for the the game of today. Send me more about this home in Minto TwinEagles! This custom riverfront home is located at 600 Winters Creek in River Pointe Village within Harbour Ridge Yacht & Country Club. Set on a deep, wide, private lot, it features a river-view swimming pool and patio area, spacious MBR suite and two guest suites. Send me more about this home in Harbour Ridge! Harbour Ridge Yacht & Country Club, presented on GolfCourseHome Network by HR Properties, is an 885-acre, award-winning, private, gated, recreational community. Located in Palm City (adjacent to Stuart), the community is set on Florida’s renowned Treasure Coast. There are major facilities for golf, boating, tennis, fitness and even a workout area for “man’s best friend,” your dog. This member-owned, equity club maintains more than 40 percent of the community in its natural state, and enjoys a two-mile-long coastline along the wide St. Lucie River. Harbour Ridge Yacht & Country Club was named ‘Community of the Year’ for 2015, ’16 and ’17 by the Golf Course Home Network for being the most visited golf and waterfront community over the course of the year. Send me more about this home in Harbour Ridge! Harbour Ridge is divided into 28 separate villages, each responsible for their own government, but under the control and guidance of the main Property Owner’s Association. Prospective buyers also can choose from 14 different home and condominium styles. All residences are placed on spacious lots. Send me more about this home in Harbour Ridge! 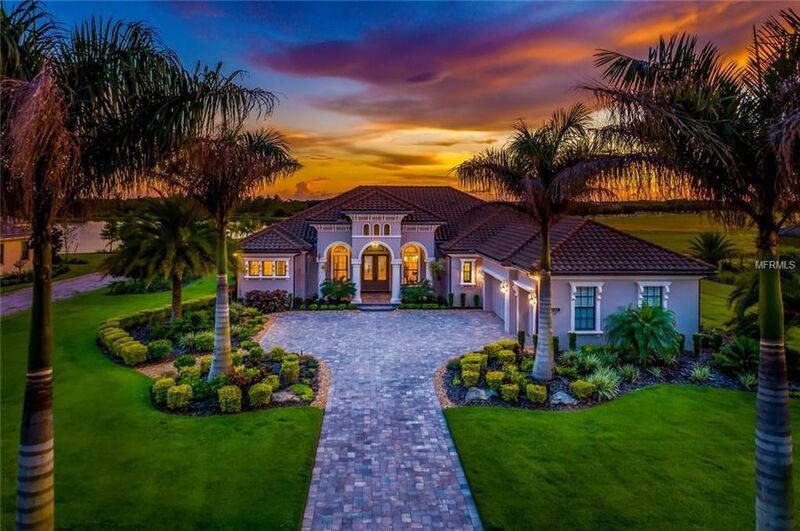 This 3,660-sf Parade of Homes award winner is a Mediterranean-style residence located at 8484 Lindrick Lane within The Concession in Bradenton, FL. Set on a one-acre lot. it enjoys views of two lakes and a natural preserve beyond. Send me more about this home in The Concession! The Concession Golf Club is a gated private community on 1,200 acres with award-winning amenities a renowned golf course and a much-admired master plan. Only 255 estate residences will be built here, on homesites measuring a half-acre to one full acre. This is a refined landscape of century-old oaks, lofty pines and scenic Florida wetlands. At the core of it is a championship course honored as one of the Top 100 in the U.S. by GOLF Magazine. Send me more about this home in The Concession! Designed by Jack Nicklaus in association with Tony Jacklin, the Concession course is routed through native stands of oak, magnolia and pine. There are only a few rooflines visible from the course, allowing its core design to offer a natural and uninterrupted golf experience. This championship layout takes its name from one of the most historic moments in Ryder Cup history, when Nicklaus conceded a crucial two-foot putt to Jacklin at Royal Birkdale in 1969, resulting in the first tied Ryder Cup ever.Send me more about this home in The Concession! This 2,590-sf custom home at 6635 Audubon Trace W occupies a very private .85-acre site on a cul-de-sac. 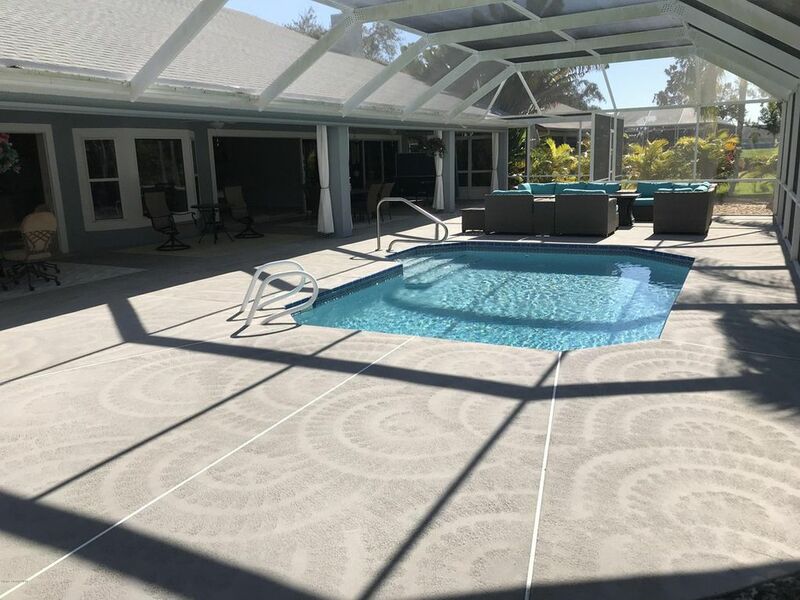 Set in the private community of The Club at Ibis in West Palm Beach, FL, it features 3 BRs/3 BAs and a large, fully screened swimming pool with spa. Send me more about this home in The Club at Ibis! The Club at Ibis offers all the benefits and conveniences of living in Palm Beach County, while still remaining an oasis of tranquility, bordered by natural beauty. The community showcases three Nicklaus family-designed championship golf courses, including the acclaimed Legend course, originally developed and newly renovated in 2017 by golfing great Jack Nicklaus. While the superb quality of the golf initially draws many to Ibis, it is the extraordinary quality of life (what they refer to as the Ibis ExperienceTM) that makes this membership well satisfied. Send me more about this home in The Club at Ibis! The much awarded gated community has 33 diverse neighborhoods, with architecturally beautiful homes, set in a lush, manicured setting. The property borders the Grassy Waters Nature Preserve, with quiet streets, ample green space, lakes and nature trails. Members enjoy an active club lifestyle consisting of sports programs, multiple options, upscale amenities and a variety of social activities. Ibis’s 33 unique neighborhoods are set among 2000 pristine acres. Choose from a variety of residences including condominiums, villas, single family homes, new construction and custom estates. Prices range from the mid $100s into the millions. Send me more about this home in The Club at Ibis!